The way it works is incredibly simple. The “car” of the train is made up of a couple high-strength magnets that are oriented in the same direction, ensuring that their magnetic fields flow in the same direction. Then when the car is placed onto the track of coiled wire they help complete a circuit with the coil of wire around it. This then creates a magnetic field around the car and the resultant force between it and the permanent magnets results in a force that’s vectored forward. However the time it will be able to do this is limited however as the creation of the magnetic field consumes power from the battery. Most estimates online have the run time somewhere around 30 minutes or so from a typical alkaline AA battery. Indeed one interesting thing about this train is that it relies on the high internal resistance of regular alkaline batteries to function properly. You see a typical battery has what amounts to a current limiter inside it, preventing anything from drawing current too fast from it. If they used say a NiCd style battery, which has an incredibly low internal resistance, I can see the results being either much more spectacular (like the car flying around the track) or catastrophic (like the battery overheating and the wire melting). Actually now I’m kinda curious about what would actually happen. Beating a Dead Copper Network. Not so long time readers will know that a month ago (exactly, strangely enough) I posted about the issues that a FTTN NBN wouldn’t fix, namely that of the horrendous nature of the copper network that Telstra currently maintains. When I posted it I figured that my almost unusably slow Internet was the byproduct of the incumbent weather and would soon rectify itself, something which had happened in the past. Unfortunately that wasn’t the case at all and after many days of sunshine and no improvement in sight I decided to do the thing I had been regretting: calling up Telstra to get the line investigated. You can then imagine my elation when I saw that they now have a handy online form for you to fill out instead of calling them. Like a dutiful consumer I filled it out and sent it on its way, not caring about the multiple warnings about getting charged $120 if there was no fault found. The site guaranteed me a response within a week and so I waited for them to respond. Almost like clockwork a response appear from Telstra a week later claiming that the problem had been resolved and inviting me to take a survey about my experience. If my problem hadn’t been fixed, it said, I could say so on the survey and they’d continue investigating the issue. Of course the fault hadn’t been fixed as no one had contacted me since lodging the fault so it was obvious that they hadn’t done any troubleshooting at all, that was just the system automatically closing out a ticket that had no action on it. I replied to the survey in kind, outlining the issues I was experiencing and the troubleshooting steps I had taken to fix it. I received a call back a day later from an agent who was going to handle my case who was very understanding of the situation I was in. However the earliest he could send out a technician was a month away although he promised he’d get that moved up. I never heard back from him after a couple call backs where he told me he couldn’t do anything for me (even though he promised to keep me updated). Luckily the technician did arrive on the scheduled date although at 8AM rather than the agreed time of after 5pm. Upon inspection of my outlet he asked if I was able to get a connection at all as the line was essentially unusable by his diagnostic tools. After a quick trip to the pit he came back with an assessment that shouldn’t shock anyone but should make you lose all faith in the state of Telstra’s copper network. Essentially the pit had been uncovered for quite some time, much like the above picture, with the terminals exposed to the elements. Another technician had been by recently though as they had put a temporary cover the terminals to protect it however this had to have been done after my terminal had degraded. A simple rewiring job fixed the issue but the pit still remains uncovered although, hopefully, the terminals are now protected from the elements so that it won’t happen again in the future. The issue here is that I know this isn’t exactly uncommon as I’ve managed to pass multiple pits in my travellings around Canberra that are in a similar state. To get speeds higher than what I get right now would mean that a lot of remediation to the copper network would need to be done and no where in the government’s NBN plan does it stipulate that happening. This makes their promise of getting higher speeds to everyone cheaper and faster hollow as the infrastructure they’re relying on to provide it simply isn’t capable of delivering the required outcomes. I could go on but I feel like I’ve said my peace about this a dozen times over already. I just wanted to highlight the amount of rigmarole I had to go through to get a single connection fixed which, when multiplied by an entire nation, shows how infeasible a FTTN NBN really is. Why Australia Needs The FTTP NBN. The state of broadband Internet in Australia is one of incredible inconsistency. I lived without it for the better part of my youth, being stuck behind a dial up connection because my local exchange simply didn’t have the required number of people interested in getting broadband to warrant any telco installing the required infrastructure there. I was elated when we were provided a directional wireless connection that gave me speeds that were comparable to that of my city dwelling friends but to call it reliable was being kind as strong winds would often see it disconnect at the most inconvenient of times. The situation didn’t improve much when I moved into the city though as whilst I was pretty much guaranteed ADSL wherever I lived the speed at which it was delivered varied drastically. In my first home, which was in an affluent and established suburb, usually capped out at well below half of its maximum speed. The second home fared much better despite being about as far away from the closest exchange as the other house was. My current residence is on par with the first, even with the technological jump from ADSL to ADSL2+. As to the reason behind this I can not be completely sure but there is no doubt that the aging copper infrastructure is likely to blame. I say this because my parents, who still live out in the house that I grew up in, were able to acquire an ADSL2+ connection and have been on it for a couple years. They’re not big Internet users though and I’d never really had the need to use it much when I’m out there visiting but downloading a file over their connection last week revealed that their connection speeds were almost triple mine, despite their long line of sight distance to their exchange. Their connection is likely newer than most in Canberra thanks to their rural neighbourhood being a somewhat recent development (~30 years or so). You can then imagine my frustration with the current copper infrastructure as it simply can not be relied upon to provide consistent speeds, even in places where you’d expect it to be better. 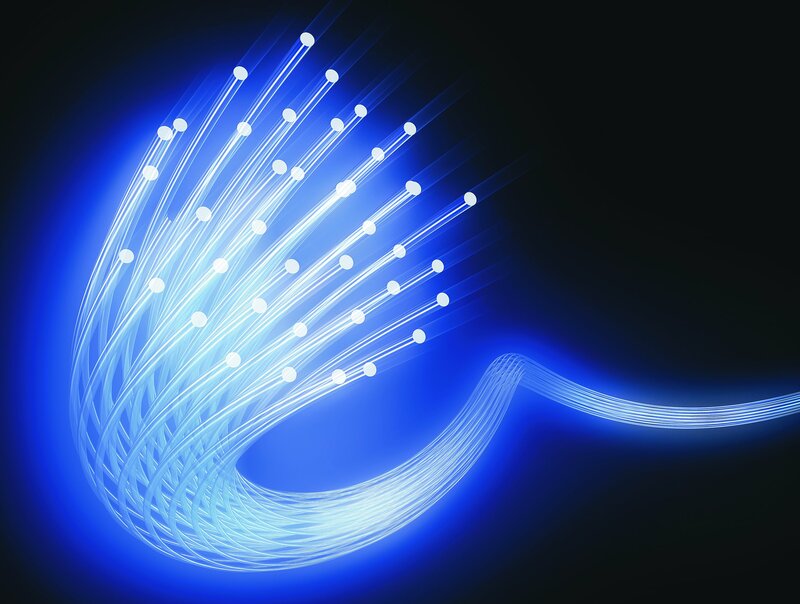 There’s a solution on the horizon however in the form of the National Broadband Network. The current plan of rolling out fibre to 93% of Australian households (commonly referred to as Fibre to the Premises/Home, or FTTP/H) elminates the traditional instability that plagues the current copper infrastructure along with providing an order of magnitude higher speeds. Whilst this is all well and good from a consumer perspective it will also have incredible benefits for Australia economically. There’s no denying that the cost is quite high, on the order of $37 billion, but not only will it pay itself back in real terms long before its useful life has elapsed it will also provide benefits far exceeding that cost shortly after its completion. Should this year’s election go the way everyone is thinking it will though the glorious NBN future will look decidedly grim if the Coalition has their way with it. They’ve been opponents of it from the get go, criticising it as a wasteful use of government resources. Whilst their plan might not sound that much different on the surface, choosing to only run Fibre to the Node (FTTN) rather than the premises, it is a decidedly inferior solution that will not deliver the same level of benefits as the currently envisioned NBN. The reason behind this is simple: it still uses the same copper infrastructure that has caused so many issues for current broadband users in Australia. You don’t have to look much further than Canberra’s own FTTN network TransACT to know just how horrific such a solution is. After a decade of providing lackluster service, one that provided almost no benefit over ADSL2+, TransACT wrote down their capital investment and sold it to iiNet. If FTTN can’t survive in a region that is arguably one of the most affluent and tech savvy in Australia then it has absolutely no chance of surviving elsewhere, especially when current ADSL services can still be seen as competitive. You could make the argument that the copper could be upgraded/remediated but then you’re basically just building a FTTP solution using copper, so why not just go for optic fibre instead? What really puts it in perspective is that the International Space Station, you know that thing whizzing 300KM above earth at Mach 26, has faster Internet than the average Australian does. Considering your average satellite connection isn’t much faster than dial up the fact that the ISS can beat the majority of Australians speed wise shows just how bad staying on copper will be. FTTN won’t remedy those last mile runs where all the attenuation happens and that means that you can’t guarantee minimum speeds like you can with FTTP. The NBN represents a great opportunity to turn Australia into a technological leader, transforming us from something of an Internet backwater to a highly interconnected nation with infrastructure that will last us centuries. 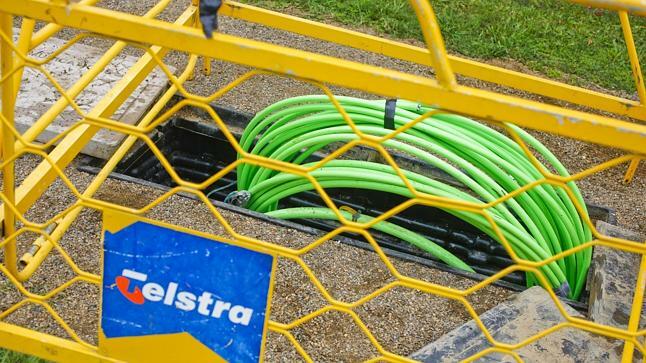 It will mean far more for Australia than faster loading web pages but failing to go the whole for the whole FTTP will make it an irrelevant boondoggle. Whilst we only have party lines to go on at the moment with the “fully detailed” plan still forthcoming it’s still safe to say that the Coalition are bad news for it, no matter which angle you view their plan from.